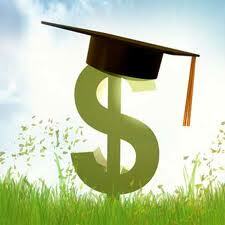 Information about school and college grants for higher education. Universal fact remains that student life is always characterized by limited monetary resources. College education expenses are skyrocketing. Student grants worldwide are looked at as a non-profit scholarship and fund of such grants is focused to support students financially. State, Colleges, few communities and various federal agencies provide student grants. Monetary aid provided in form of Student grant to eligible students enrolled for higher education with colleges, universities, business schools are utilised for covering fees for tuitions, academic books, materials and apparatus, or travel expenses when going abroad, lodging and boarding and utility bills. However, they can spend the grant on whatever they want. Income parameters of family and/or personal are thoroughly assessed when a student applies for a student grant. Chances are higher for student applicants with the best motivation. Hence, it is recommended to spend considerable time writing good motivating application. Initial procedure of applying for student grant includes filling out FAFSA form. Expected Family Contribution (EFC) carries high importance on deciding the eligibility for the grant. Details provided in the student's (EFC) Expected Family Contribution. Whether the student attends the course full academic year or less. This further explains the entire formula in detail for the benefit of the students. 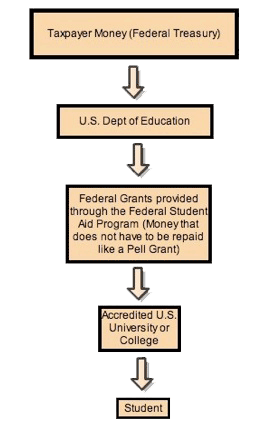 Federal Supplemental Educational Opportunity Grant (FSEOG) program. National Science and Mathematics Access to Retain Talent (SMART) Grant. State Government reserves rights to decide eligibility criteria for availing state grants. Classic example is of Illinois Future Teacher Corps (IFTC) Program; basically provided for those students who are looking forward to choose teaching as their career. Financial aid provided by college to students on the basis of their FAFSA details and other eligibility criteria is known as College grant. For example: many colleges offer grants to outstanding athletes. Grant awarded to students pursuing careers in precise categories is termed as Career specific grants. Teacher Education Assistance for College and higher education (TEACH), Grant Program and Nursing Scholarship Program are fine examples of such Career specific grants. Grants offered by specific communities or association post consideration of family backgrounds and other specific features are called Student specific grants. It is mainly provided to students with physical disabilities, military backgrounds, minorities and few more. Grants offered to students having a unique hobby or talent are called unique grants. Looking at the nature of eligibility it is supposed to be less competitive as student with unique talents can only apply unlike scholarships provided on merit. It is specifically designed to match requirements of prospective students to attain college education for better academic prospects.